Telecommunications and IT platforms do not enter the mainstream in a consistent way. Large enterprises generally take the lead. It’s purely practical: Large businesses employ people who truly understand emerging trends and technologies and can more smoothly usher in the new approaches. SMBs don’t have the mindshare and generally are happy to follow. Vendors like it this way, too. They prefer dealing with such large businesses that know the ropes. They like the fact that a single sale can pay the rent for a long period of time. UC no long is a young endeavor and the big companies have chosen sides. The low hanging fruit has been picked. The Internet has upset the status quo. The Internet Protocol is the language that virtually all networked devices and services use to communicate. This makes entry into the market far easier. Anyone can use on-premise or cloud-based platforms. It also is easier for vendors to jump into the game. 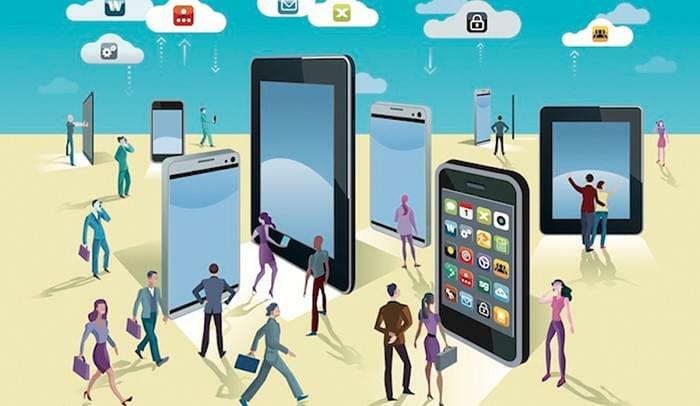 Folks today are much more likely to “get” unified communications and put together their own ad-hoc Bring Your Own Device (BYOD) UC platform if the employer doesn’t offer it. Two employees Skyping is a UC platform, whether the boss likes it or not. It doesn’t have the bells and whistles offered by hosted VoIP providers – or, most likely, adequate security – but it is a method of UC nonetheless. This is a strong inducement for companies to be proactive and offer a platform. The point is clear: What a decade ago would have been a laborious project – putting everyone on a homogeneous platform as a precursor to adding advanced communications features, for which users must be trained – now is organically occurring. There are definite signs that the UC SMB sector indeed is growing along the lines the report suggests. Different analysts’ groups cut the market differently because the line between UC for large enterprises and for SMBs is fuzzy. Many products are used by both large and small organizations. Even the biggest multinational supports many users – small branch office workers, telecommuters, contractors, and the like – in which tools tailored to the SMB universe work just fine. Zeus Kerravala, writing at Network World, does a nice job of running down the most interesting products on display at VoiceCon/Enterprise Connect, which was held in mid-March in Orlando. Familiar names such as Avaya, Polycom, Sprint and Cisco are represented. There also are a healthy number of lesser known vendors and startups. The bottom line is that almost any emerging UC product or offering will be at least partially aimed at – the sector below large enterprises. That certainly is true of anything with “cloud” or “as-a-service” in the name. It’s always important to look at what Microsoft does because of its ubiquity in the corporate world. One of the big milestones in the movement of UC down market was the company’s acquisition of Skype three years ago. A key part of the work that began when the deal closed is reaching fruition. Network World’s Larry Hettick reported on Microsoft’s technical preview in late March of the Skype for Business client. This month, the story says, Skype for Business will be rolled out with such features as the Skype for Business Server and new Office 365 services. Microsoft will offer enterprise voice and audio conferencing and enterprise-grade PSTN connectivity. The PSTN integration first will be available domestically. The Network World story has a lot more details. The message is clear: Microsoft’s goal is for Skype for Business to become a serious player in the SMB UC sector. 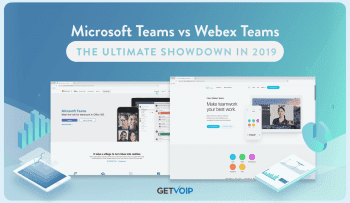 Business Insider, in its story about the Skype for Business technical preview, describes how Microsoft hopes to use the platform to protect its business communications market share against Google. It will take a while for this battle to work itself out. The bottom line, however, is that Google and Microsoft are aggressively moving into the UC space. This means that the focus is shifting, at least to some extent, to small- and medium-size businesses. The established vendors and service providers need to acknowledge the change and adjust how they do business. Sales and support to small companies is significantly different. They need more handholding. 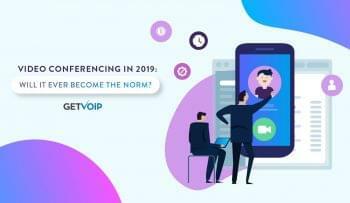 The trend is clear: The big news in the unified communications sector is – and for some time will be – among small- and medium-size businesses. Carl Weinschenk covers telecom and enterprise IT for IT Business Edge and other major tech publications. He writes about wireless technology, disaster recovery/business continuity, cellular services, the Internet of Things, machine-to-machine communications and other emerging technologies and platforms. He also covers net neutrality and related regulatory issues. Weinschenk has written about phone companies, cable operators and enterprise communications for decades.